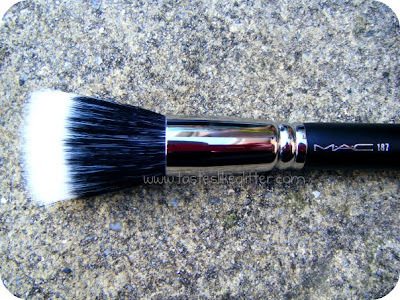 This is a brush I had been absolutely dying to get for ages but as it's one of the more expensive brushes that M.A.C sell so I always put off doing so. I had been using a 190 and a 109 to do liquid foundation before and I couldn't put up with them anymore so decided to just go ahead and buy it, no matter how expensive it was. I am so glad I did. I have used this every time I've applied foundation since I got it. I've always found synthetic brushes to be 'scratchy', which is why I prefer buying and using non synthetic brushes. For a partially synthetic brush this is actually amazingly softer. 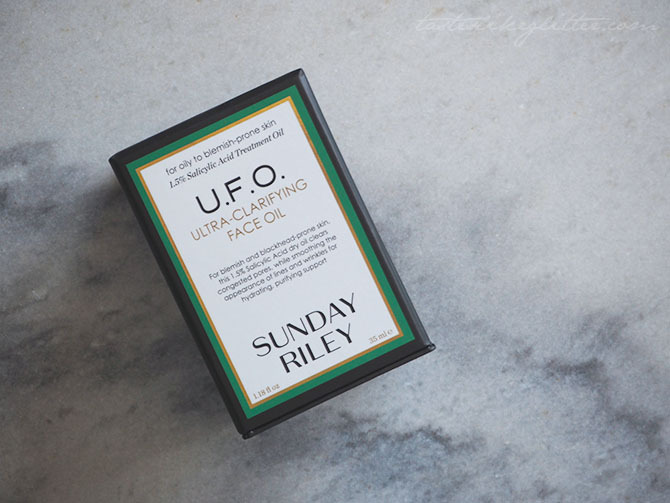 It feels a lot lighter and more gentle on my skin then the brushes I had been using. I find I use a lot less foundation and it's much easier to buff out and blend in to the skin, without getting that horrible foundation tide line. 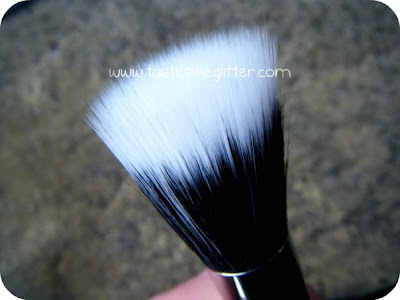 As well as using M.A.C Studio Fix Fluid, I also tried using the Studio Fix Powder with this brush and I find it difficult to get a good even coverage while doing so. I can honestly say I don't think I'll ever use another brush for liquid foundation again. That's a very strong statement to make but if you have it and you use it I'm sure you'll agree. The brush is amazing! The only thing I would say and I would have expected it this anyway, once you've washed it leave it out! I have a M.A.C Brush Roll and the first time I washed it I rolled it up in that, went to use it the next morning and it still wasn't dry. It needs to be left out in the air and over night to be totally dry. If you have it, do you like it? Have you been looking at getting this brush? Let me know.